As with the majority of most people in the United States, my Thanksgiving festivities began with a drive to Grandma’s house. No big deal right? OMG, the traffic. It’s too much. Truly. It is too much to have to sit in traffic at 8 o’clock at night when you have four more hours left to drive. With a toddler. It could be worse. This trip our child actually slept. AND since we weren’t toting the dogs, we didn’t run into whining from the back or barking for the last 30 minutes of the trip. Inevitably, we couldn’t handle the traffic so we sought out an alternate route. Alternate routes in Texas inevitably mean Farm Roads. And we all know what Farm Roads mean….Texas Chainsaw Massacre. Ok, maybe that’s not what comes to your mind, but it is absolutely what comes to my mind. Don’t get me wrong, I grew up in a small Texas town with lotso farm roads. Nevertheless, driving on farm roads at night freaks me out. I mean really freaks me out. 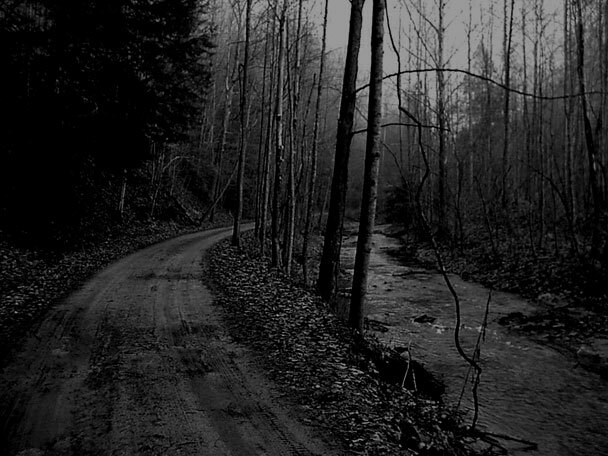 Haven’t you ever noticed that most scary stories usually include “It was a long and winding road?” Or is it any coincidence that the Texas Chainsaw Massacre or The Others took place in the middle of nowhere? There is a reason people. You do not want to run out of gas or be in a position of helplessness on these roads. There is no telling what will happen. Much to my chagrin, we’re driving along a “dark and winding road” and all of a sudden red and blue lights behind us. Great. One of two things is about to happen: we are either about to get a ticket for speeding in a small town or we are about to be involved in some heinous scary plot that will surely involve me pooping my pants out of fear at some point. The cop just passed us. Phew. No ticket, no pooping my pants. Not long after that, the cop stopped in front of us, turned around and headed in the opposite direction. Weird. Then we see more lights in the rearview mirror. Dear God, my palms are starting to sweat and I just locked the doors. These police officers are obviously looking for something or someone. Most likely some crazy killer with a chain saw that is on the loose on this very farm road. Then we almost ran over a bunny. I almost had a heart attack. Almost. Jeez I have an overactive imagination. Too much time spent in the city watching horror flicks, I think. So on this Thanksgiving, I’m thankful that we survived the Farm Road. This entry was posted in Because it's funny, Just because. Bookmark the permalink. happy turkey day my friend! sounds fascinating……would have loved to have read this sooner……very funny and TRUE!! thanks, Linda. It was definitely a fun drive.